"Hello, anybody can help me? 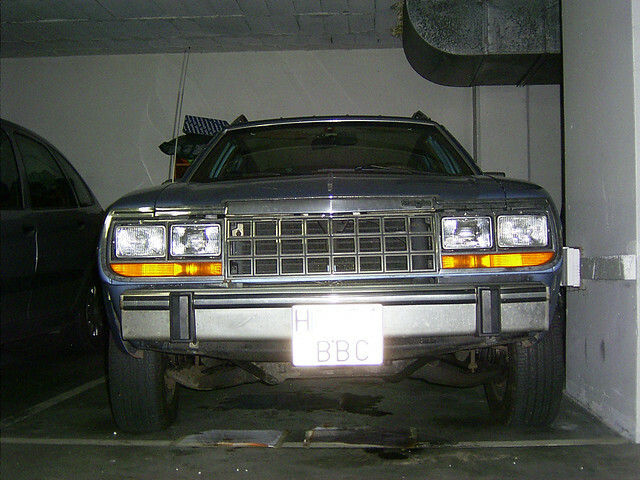 My AMC Eagle is located overseas, in Spain-Europe and since I bought it, its front suspension is a little wrecked, its height is 2 inchs taller in driver side compared to passenger side, the coil spring from the driver side has 6 coils and the coil spring from passenger side has only 5 coils. 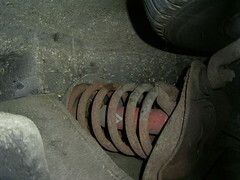 I never saw previoulsy anoher AMC Eagle front suspension , so at first I was planning to replace the front coil springs, assuming that one of the coils don´t fit correctly on the AMC, I was thinking the "6 coils" coil spring was replaced previoulsy I bought the car, and this part may came from a different car. 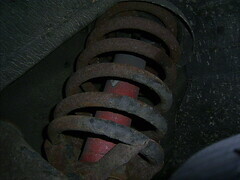 Recently I got different opinions about the problem of its wrecked front suspension. From AMC Forum I got the opinion that the "6 coils" spings don´t fit on the Eagle and it is possible to came from a Javelin. 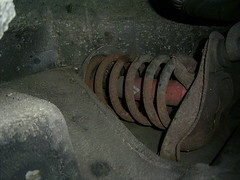 I recommended switching the driver side front springs and the passenger side front spring to see if this would level out the vehicle. 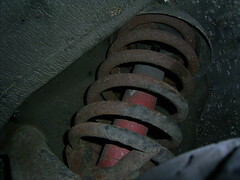 Prior to do this work in a mechanic and lost a lot of money, I need to be assure, so I ask for more opinions from the members, about if the "6 coils" coil spring that wear my Eagle could be an stock piece of my car, or it may be a junkyard part that not be specific for the Eagle. Thanks to all the people of the forum for their help"
This is sad! We need to get this guy on the site! Real Eagle Owners shouldn't be turned away. 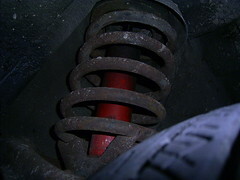 IIRC, the Javy springs were the only ones that are available new from Espo at Springs N Things. Several Eagle owners have used them and they work, but are beefier and do raise the Eagle up a bit more than stock height...not much though. EDIT: Not to confuse anyone, but if you do order the ESPO springs from Springs N Things they are listed as Eagle springs, but I believe the consensus was that they are Javelin Springs. 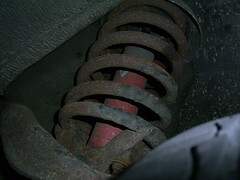 They are a bit beefier and do raise the Eagle slightly, I thought there was a picture somewhere on the forum comparing the stock spring to the new springs from ESPO, but I can't find it. Yes,we need to get him over here.The AMCForum is nice but there's sooo much on there with the different models-I think he'll like it here and find what he needs,that's my 2 cents. 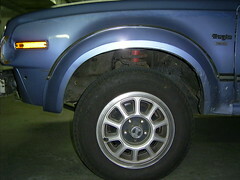 mine sat just like that, turned out to be a bad ball joint though. I've been with that site for a few years, and I found my old user name for it. I signed on, and sent him a pm about this site. I told him if he comes over, send me a pm (thru that site) and I'll fasttrack him. Then, he can get some real help for his eagle. Sounds great. I've been communicating with him the last few days via PM's on the other site and today he thinks he might have figured out the signing in problem, may be a cookie problem on his end. I wonder if ESPO ships overseas. 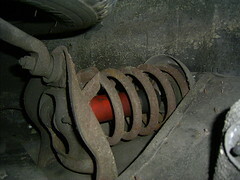 If not maybe someone could order coils for him and ship them. I suspect shipping would be very expensive. EGGselent deal Whuntmore. Always nice to see somebody helping folks out. 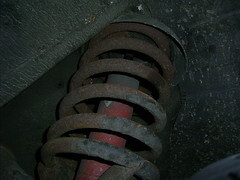 Jim, he doesn't want the ESPO springs since they aren't really Eagle springs and lift the front. He actually would like it to sit a little lower than stock. 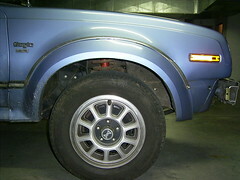 what jeep wheels to fit a 85 amc eagle? 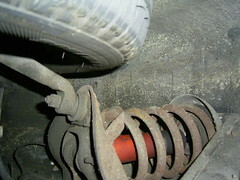 Wagon leaf springs on SX4?